Anurag Kashyap says he is a man of action, not discussion. When the band of journalists arrives on his set for Sacred Games, the director smiles at us politely and tells us he will join us shortly. He continues undeterred in his work. "He's (Vikramaditya Motwane) the show-runner, he's the producer. I'm a hired director," says Kashyap with a smile that indicates he is both pleased and humbled at the prospect of being part of this project. 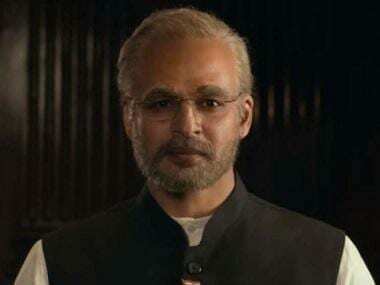 He and Motwane have jointly directed the series; while he has given shape to the track involving gangster Ganesh Gaitonde played by Nawazuddin Siddiqui, Motwane is responsible for the track involving Sartaj Singh, played by Saif Ali Khan. He was brought on board at a later stage, when the script and the principal cast were in place. "I was told that this is my role, and that I have the freedom to interpret the script. That's the whole strategy: Motwane does his narrative, I do mine," he explains. He says that he had no vision of his own, preferring to draw only from the script. "For the first 15 days, I was only taking in the script. Varun Grover and Motwane have been part of the whole process and I did not want to question it, I wanted to see what they have put together and what I could possibly do with it." That being said, Kashyap is entirely at home because of the subject of the series. "I'm quite familiar with the material, because I'm familiar with Vikram Chandra's source material. We were researching at the same time — he was working on Sacred Games, I was working on Black Friday, and Suketu Mehta was writing Maximum City. We were all referring to Hussain Zaidi or Rakesh Maria, and we were going to the same people to ask questions. The subject is very close to home." The challenge then lay in visualising and presenting the story. "At a deeper level, everything in the book is fiction. But it is the coming together of lots of different facts, which were the source for fiction. To find the facts and translate them visually was the challenge," he explains. Gangs of Wasseypur, Black Friday, Gulaal, Raman Raghav 2.0 and Ugly are some of the movies that dot Kashyap's filmography which are thematically similar. With Sacred Games added to the list, does he feel he is being 'typecast' as a director? "I think the opportunity came my way because I have 'street cred' as a filmmaker that I don't think anyone else has. I know Bombay like the back of my hand. When they hired me, they were 'typecasting' me, but I made sure to make the story my own when I came on board," he says. Kashyap speaks to Nawazuddin Siddiqui between shots. The duo laugh as they discuss their children and what it is like to be a father in today's age. "Even when we aren't 'working', we are working together," says the director about the relationship he shares with the actor. He says that Siddiqui is very different in Sacred Games as compared to his characters in other films directed by Kashyap. 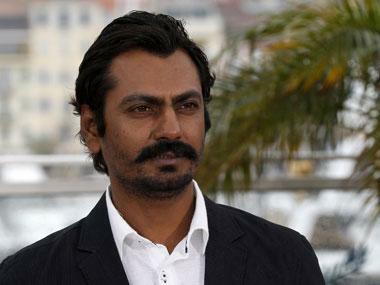 "Even though he plays Ganesh Gaitonde — a gangster — he's not like Faizal Khan from Gangs of Wasseypur or Ramanna from Raman Raghav 2.0. There's a lot of gravitas in his approach to this character. I would say it is his best performance to date. 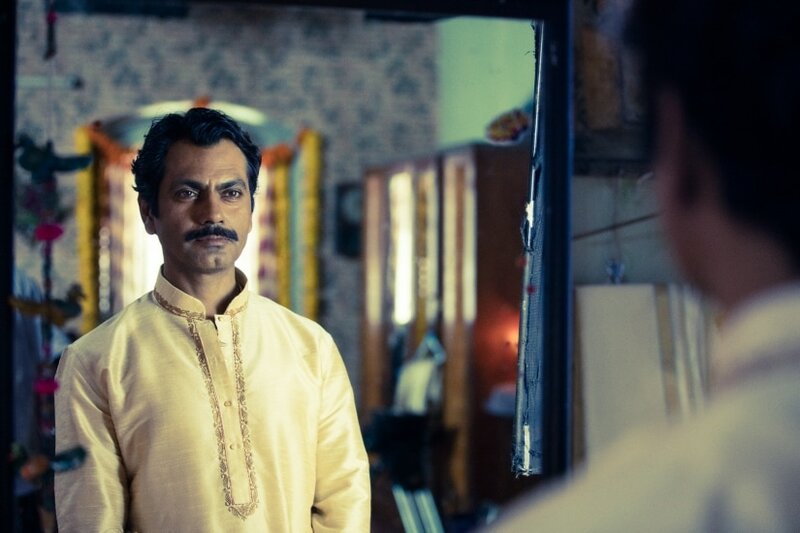 Ganesh Gaitonde is the sum of all we like in movie characters." He says he did not expect his actors to read the book the series is based on. "The script is a lot more expansive. It has gone in depth when it comes to some characters that were mentioned in passing in the book." The change in medium from film to TV has not changed Kashyap's approach. "I don't think of it as TV," he says. The absence of the usual pressures of time and length that come with making a film mean that his process is more liberated. "When you go and do a scene, you actually live it, you live the emotions. It's a far stronger experience." The other merit, he says, is that it is an Indian original series, not a Hindi series. "We get to cast Maharashtrian actors who will speak Marathi. Another character speaks traces of Gujarati... The diversity we have in India, it isn't represented in our movies because it is restrictive. But in the series, there is diversity; you'll get a real sense of what India is. That's what is magical about it," he says. Kashyap's set consists of a dilapidated-looking old Bombay building. Pigeons are perched on the nets that lined its windows. After a take, the director returns to the press table. 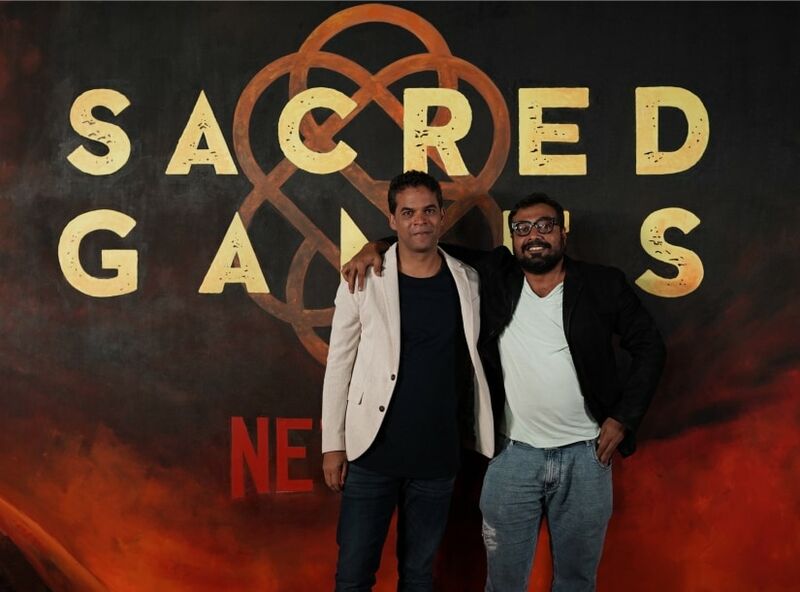 Sacred Games sees Kashyap recreating the world that his characters inhabited in Black Friday, but he asserts that doing this Netflix series is far more difficult than the film. He is also simultaneously thankful for the freedom that comes with a platform like Netflix. "Once the script was done and approved, Netflix literally let me be. Because its strength lies in empowering directors rather than telling them what to do. It's not like the studio, you feel like you can express yourself," he says. Because it is being released on the streaming service, censorship is not a concern. On the subject of political correctness, he says that artists always find a way to say and express what they want to, even if they are censored. "So many amazing films are made in regimes and countries that are stricter than our own. The stricter a society is, the better the art that comes out of it," he says. Working on a series has given him more space as a filmmaker, he says. "When you binge on a show, you actually watch 10 hours at a stretch. We don't question the storytelling or ask why the plot isn't moving faster or why a scene was cut short — we just enjoy it. My argument with film studios has always been that if you look at the best movies made across the world, they're all long movies. Studios want you to move faster and cut down the number of hours. They expect the film to move at the speed of a bullet train, and that has taken away a lot from the process of storytelling," he says. The sun is setting early this December evening. An old but expensive-looking car is parked in front of the dilapidated building. The crew soldiers on, as they must finish the shot before daylight completely disappears. Kashyap finally calls it a day. 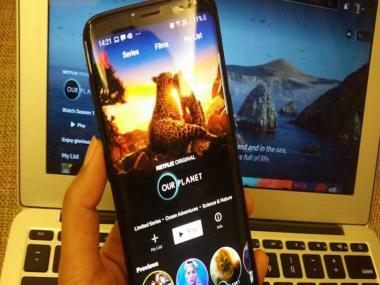 The director acknowledges that the pressure and expectations are mounting on the whole team, because this is the first Netflix original to come out of India. But he is unbothered by questions such as 'How will this change the movie landscape in India?' "If I cared about such concerns, do you think I would be making half the films I am right now?... I'm always in the moment," he says. He feels free; as free as he did in the time before he made Black Friday. "I had no fear in Black Friday, I could do what I wanted to. Since then, there have always been these clouds of fear hovering — we can't do so-and-so thing, it'll get stuck with censors, something else won't work with the audience, something will make distributors unhappy, studios will create issues, actors won't agree to do particular things. Black Friday marked the first time that I went all-out," he says. We chat about how he hates the 40 minutes of commercials before a movie can start and how he has been a Netflix loyalist since the days when they home-delivered DVDs. "I think Sacred Games the book has come alive in this adaptation," he says, as he prepares to leave the set.